As a solo female traveler, I have had a few scary moments during my travels. I got a dengue fever in the Philippines, my bus was kidnapped in Mexico, and I survived a scooter crash in Bali. However, none of those experiences put me off traveling and I kept on visiting more and more places around the world. As an adventurous traveller, I like to feel a bit of a thrill while visiting places often off the beaten track. But don’t be fooled! Some of these places that can often be haunted. I’m going to introduce you to that and some most haunted places in the world. Located about 3 hours’ drive from the capital, Aokigahara is one of the scariest places in Japan. In Japanese mythology, Aokigahara is said to be haunted by demons, a reason why some Japanese still fear entering the forest – also, it is believed that those who do never return. It’s said that these spirits glide between the trees with their white shifting forms being occasionally spotted by visitors out of the corners of their eyes. 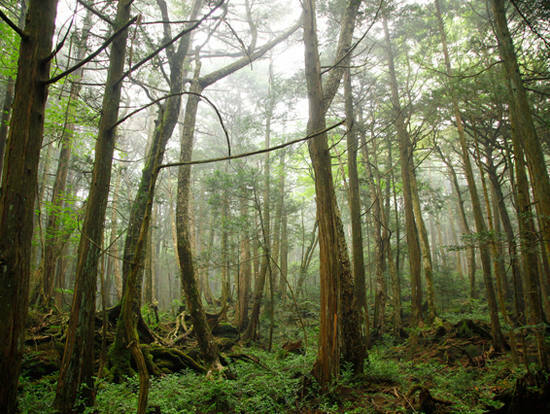 Aokigahara Forest is also the world’s second most popular place for suicides; over 500 people have died there, commonly by hanging or poisoning. It sits at the base of Mount Fuji – one of Japan’s sacred volcanoes and the most known icon of the country. Thanks to lack of wildlife, high density of trees, and its growth preventing much wind from penetrating the forest the place is unusually quiet and feels like a horror movie setting. If you are brave enough to walk around the Aokigahara, be prepared for sudden encounters with spirits – and make sure you mark your route to find your way out! Your devices won’t help: compasses and phones don’t work inside the forest, because of the iron deposits within the soil. She has also been seen leading a ghostly procession of Lords and Ladies down the aisle of the Chapel Royal of St. Peter ad Vincula, ending at the altar where her body lays below. 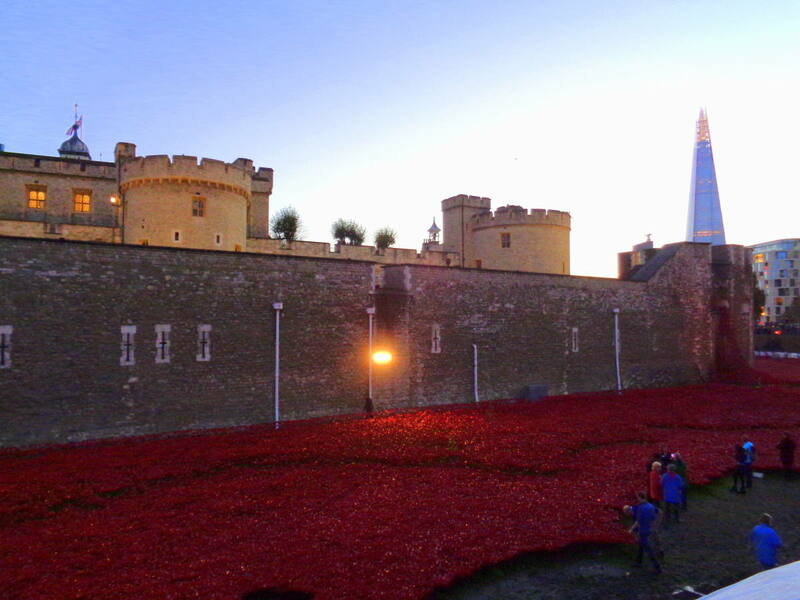 Her headless body has also been seen walking the corridors of the Tower. 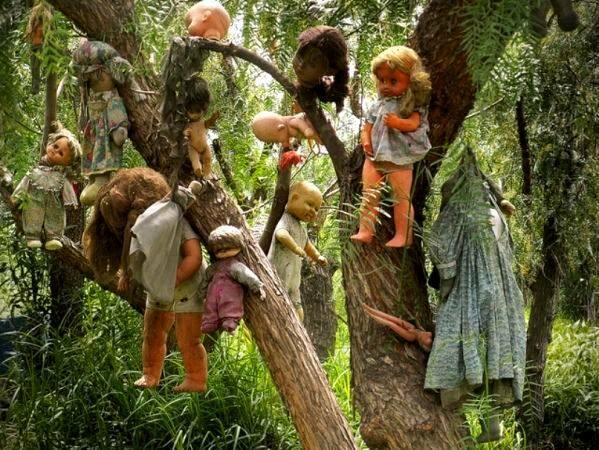 La Isla de las Muñecas – the dolls island – is packed with numberless, neglected dolls which. The legend tells they were first left there by a man who, while looking for some solitude, realized that the place was visited by the spirit of a girl who drowned on the island in the past. To placate the spirit, the man decided to bring the dolls to the island. Despite his efforts, the man was found dead in the same place as the little girl. Both of the spirits can now be seen felt and heard on the island among the creepy dolls. Disclaimer: The island is closed to visitor unless a special permit is arranged. Many boat operators in Xochimilco will promise to take you there and you’ll end up seeing the ‘fake doll island’ which is a tiny replica. Be aware of these scams! If you are not afraid of human bones, this chapel in the Czech bohemian region is a place to be visited. The main tourist attraction is the arrangements of human bones in artistic ways, creating an unusual altar decoration. 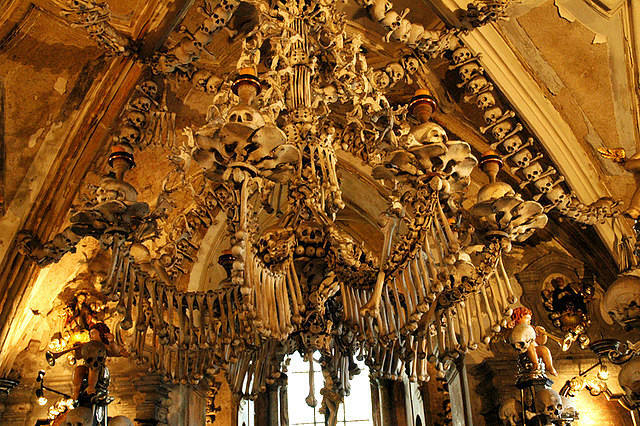 Some 200,000 tourists a year admire such bizarre constructions as bone chandeliers or skull garlands. It’s definitely a one-of-a-kind place! Those of you who are planning to visit Edinburgh should anticipate a headless drummer, phantom piper, and spectral dog. These spirits are said to have been protecting the most iconic site of the capital for centuries. How do we know they are there? Four years ago, a group of volunteers took part in a 10-day stay at the castle, and nearly 50% acknowledged seeing ghosts or feeling their presence. One of the most iconic haunted places in Romania, home of that cruel blood-drinker Count Dracula, who made it famous back in the 15th century. The prominent features of the castle are the spiral staircases and the doorways. Moreover wooden daggers, blood-like wine, and vampire masks are available from a nearby market. 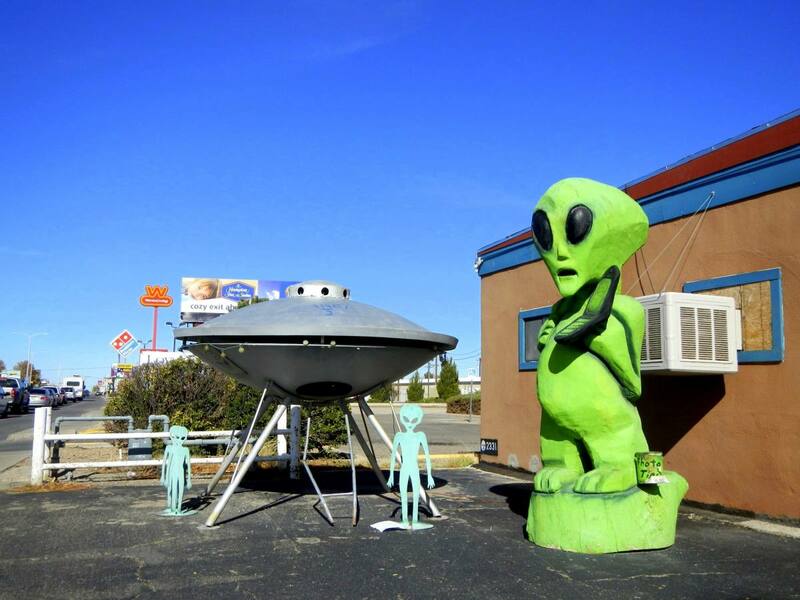 A well-known spot among UFOlogists, Roswell is mysterious place where alien spacecraft landed in 1947 – although the official version stated that it was a weather balloon which crashed. But to this day some people say that aliens recovered from the crash are hidden at U.S. military bases. Visit the UFO museum there and decide what to believe yourself. 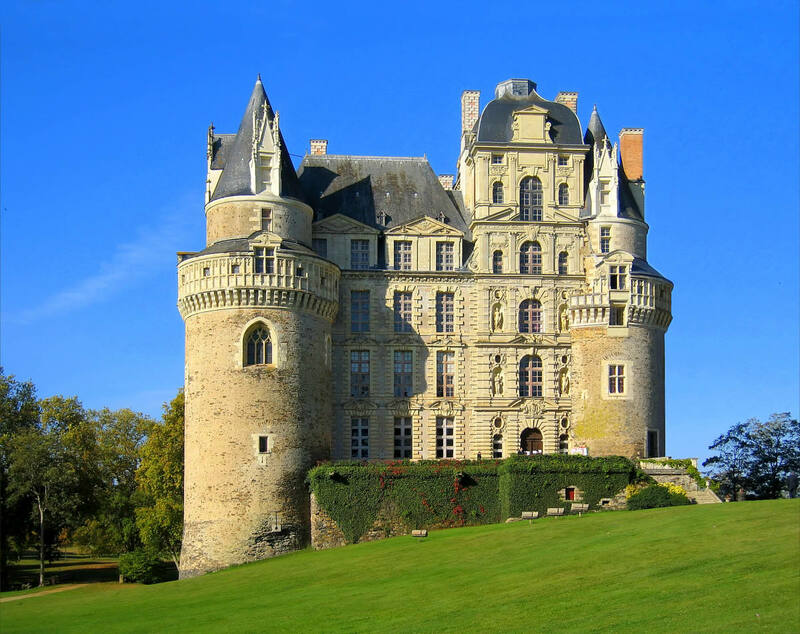 This 11th-century French castle was host to a double murder, similar to other castles in Loire Valley. According to the tale, the owner of the castle killed his wife. The cause? He accused her of an affair with the King of France. Since that fateful incident, the Lady in Green wanders around the castle haunting the visitors. Do you want to see her? Then you should check out this place at night. Have you ever wanted to be a proper vampire and sleep in a coffin? Now you can make your dreams come true at the Propeller Island hotel in Berlin. It’s spooky, but it’s worth it! My grandma loves haunted places with some history. And boy, do you have quite the list here?? Now I need to decide where I want to take her. 🙂 Her dream is to go to Ireland, so there are a couple here that aren’t too terribly far away. How interesting! I have read a lot about this ‘Dolls island in Mexico’ and of all the places listed here, this one intrigues me the most. I can only imagine how peaceful and eerie this place can be at the same time. Do they allow visits there? Hey cool. Let me look that up! I’m so glad that you included the Bone Church in the Czech Republic! It’s one of my favorite places I’ve ever been. I know a lot of people think it’s a bit creepy, but I thought it was absolutely incredible! Another one that really was creepy was Boker Mountain in Cambodia (and of course the killing fields) . Weird place. Actually it’s super hard to get to the doll island… as the owner doesn’t want many people to visit it’s only open a few days a week and various ‘trajineras’ (boats in Xochimilco) owners are trying to screw you and take you to the fake island (a tiny replica on the tourist route instead), so make sure you get a proper tour! Wow, Anna this is a fabulous list of haunted places! I’ve been to a few and a few more are on my list. 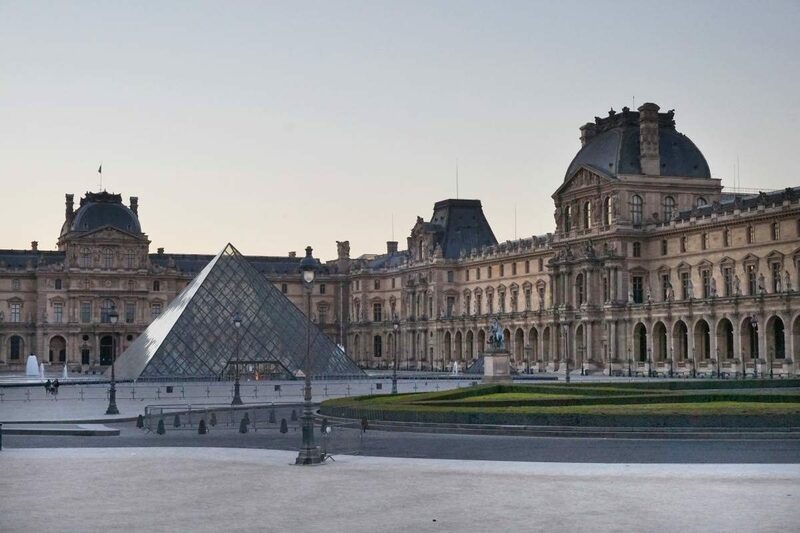 I’d love to visit Sleepy Hollow and the Paris Opera!